When someone you know loses someone they love, what do you say? What can you do? Part of the award-winning Grief Diaries series, How to Help the Newly Bereaved is an etiquette guidebook on how to help someone facing loss of a loved one. 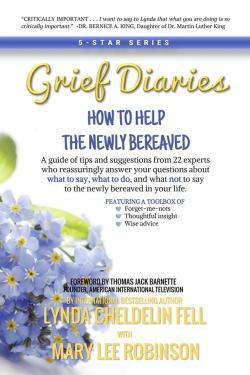 A compilation of tips, hints and perspectives of 22 individuals who have personal experience with loss, each one shares what was most and least helpful during their time of need. The straight talk and candid answers will help increase your confidence and comfort around the bereaved, and arm you with a toolbox of forget-me-nots and insight as you support someone during the most difficult time in their life.